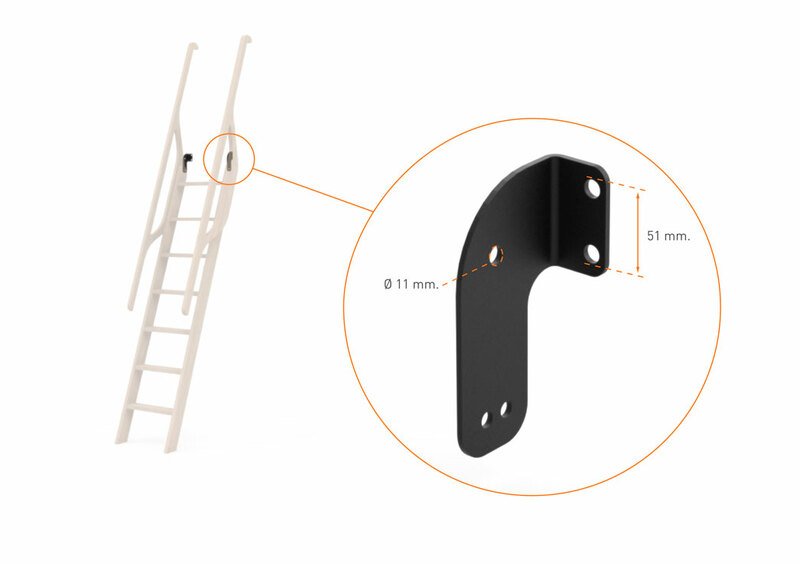 The wooden ladder S is made of high quality beech wood giving a natural look while protecting the wood's surface. 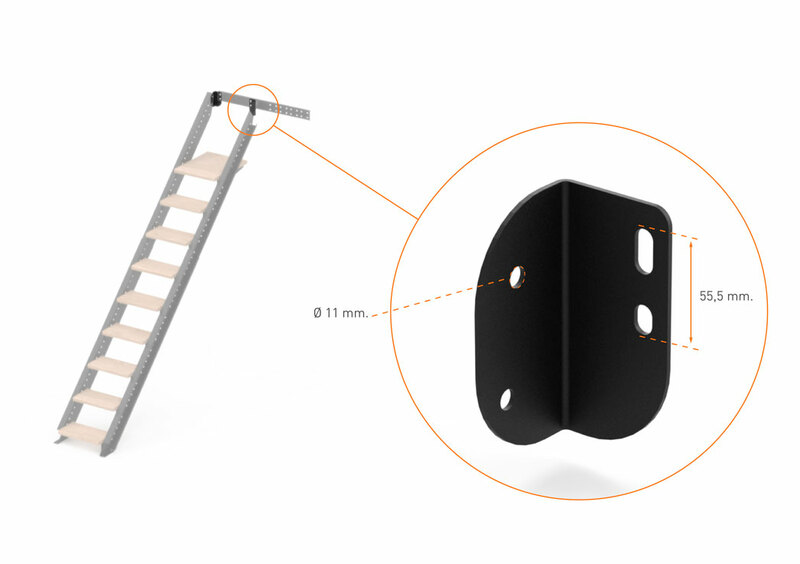 The incline of the ladder is 80º. 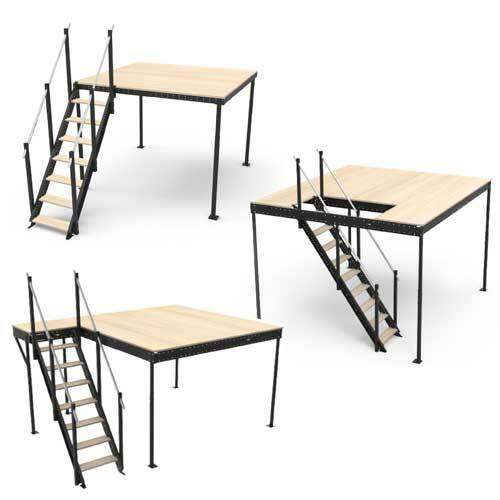 It is compatible with S range. 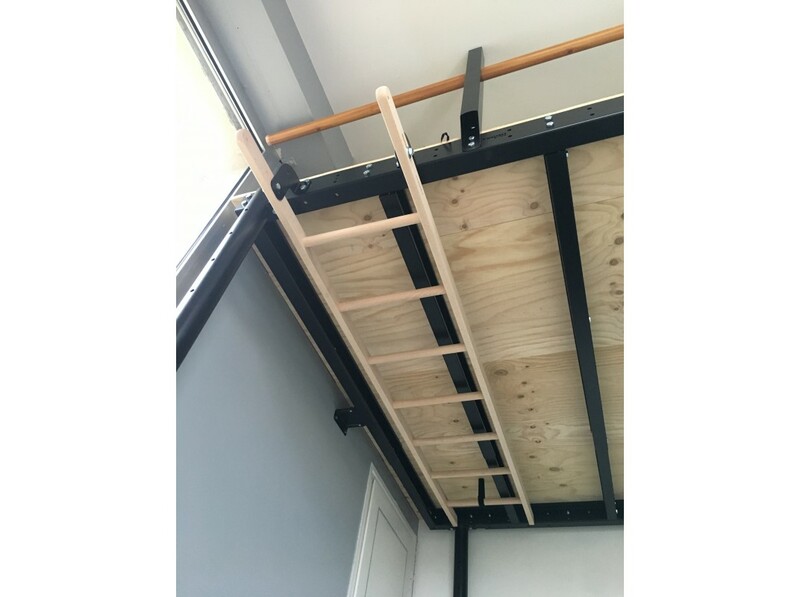 The ladder is adjustable in height. 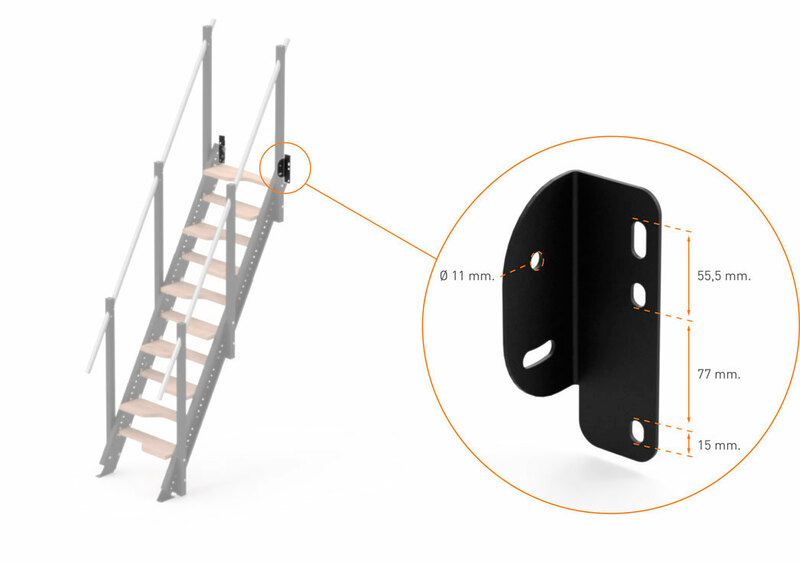 When the height of the structure is equal to or less than 233cm, the ladder can be easily adapted cutting their stringpieces along the marks they include. 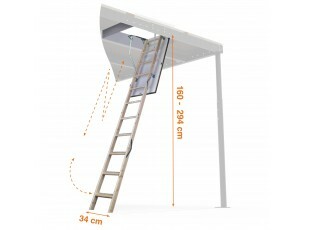 The ladder can be installed on either side of the structure, or even install it inside the structure. 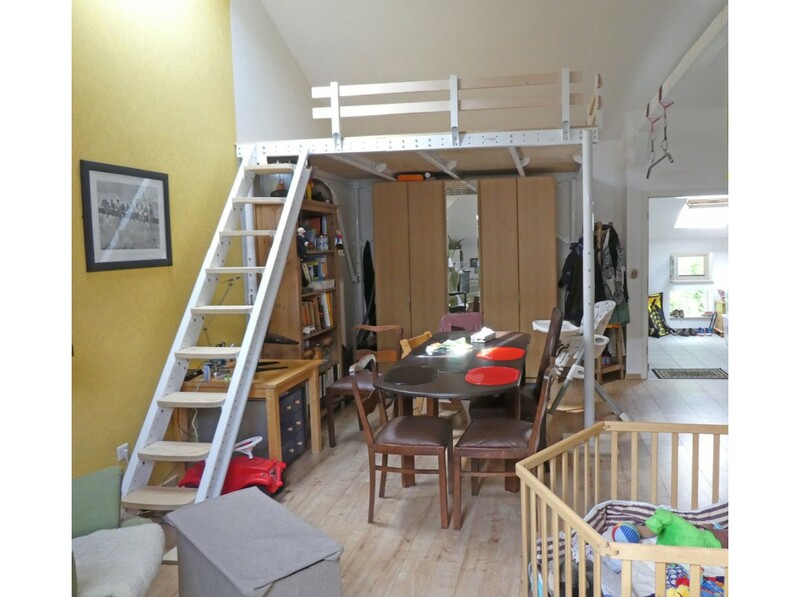 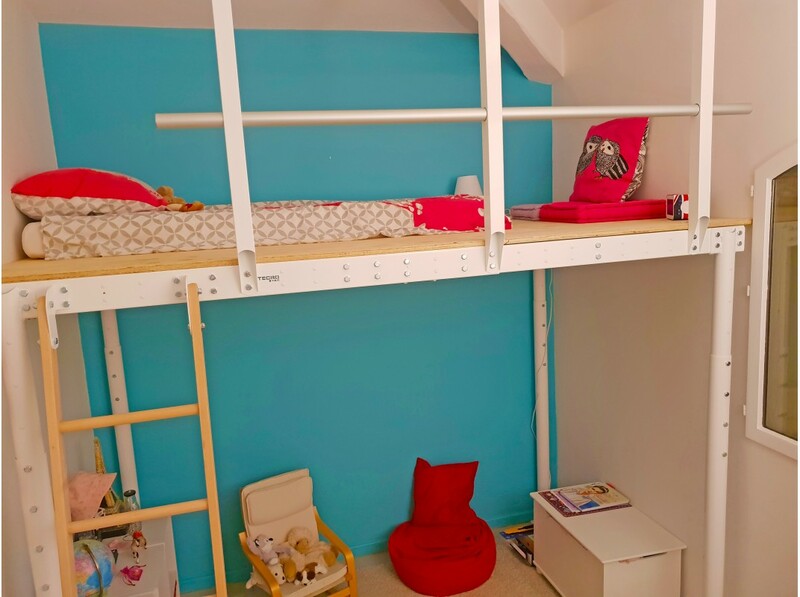 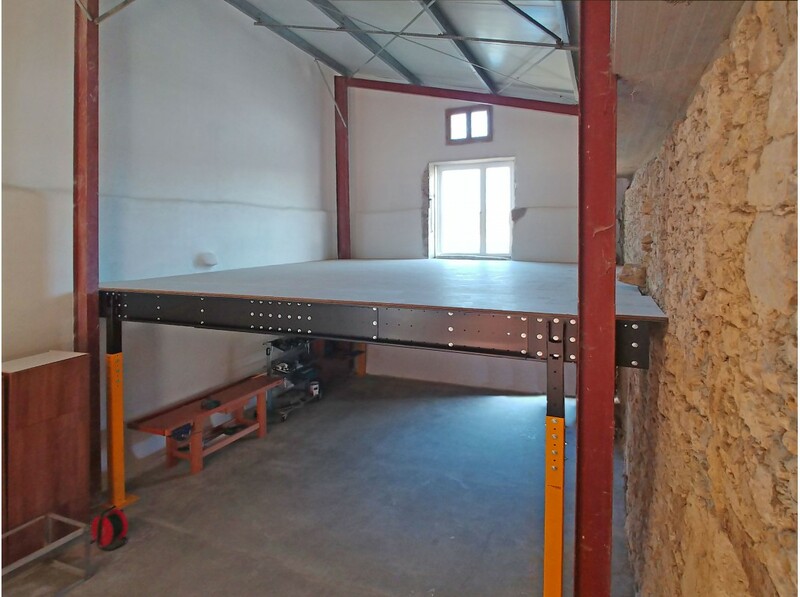 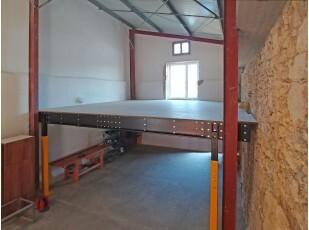 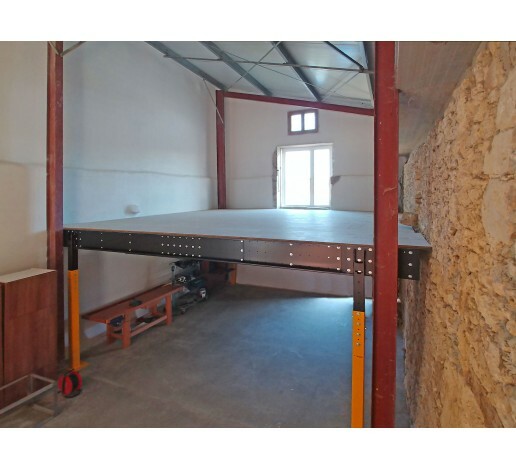 The ladder can be turned downwards to hide under the mezzanine horizontally. 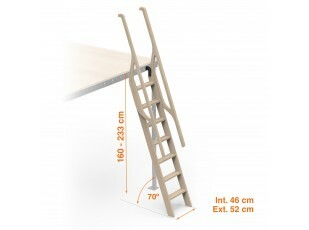 The wooden ladder S is delivered fully assembled Premium beech wood with natural finishing.